This year is truly a year of celebration for Sonic fans. With Summer of Sonic in full swing, many Sonic fan projects taking off, Sonic the Hedgehog coming to MS and Sony’s next gen consoles this November, and Sonic Rivals marking Sonic’s long awaited debut on PSP, things are looking swell for our little blue dude with a tude. But apparently, Sega has yet ANOTHER present for the blue dude’s devout fan base: a true tribute to his first appearance, a re-release of the original Sonic the Hedgehog for the GBA. The game is a little more then a simple re-release, though. The game comes complete with a full blown spin dash, AND a save function for those who could never get through the whole game before. The game will be titled “Sonic the Hedgehog Genesis”, in remembrance of Sega’s classic 16 bit console that our spiky blue friend debuted on, and will retail for $19.95. An exact release date has yet to be announced, but we can certainly expect sometime during the holiday season. 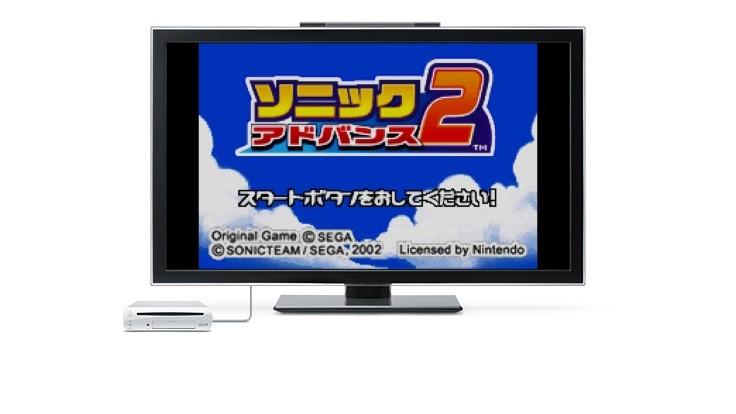 Last week we brought you news of upcoming Sonic Advance GameBoy Advance double packs, which were all until now confirmed only for their US and Japanese release. In a press release just hours ago from THQ it was confirmed these packs would be released shortly in PAL territories. The clincher for the deal, and what is sure to frighten even the most hardened of collectors is that no less than six different double packs, seven if you consider ChuChu Rocket, all to be released during November. Columns Crown + ChuChu Rocket! Sonic Battle + ChuChu Rocket! In a follow-up to the news reported early this month that revealed Sonic was to have his ‘Advance’ outing bundled into a 2-pack consisting of ‘Sonic Advance’ and ‘Sonic Pinball Party’, now comes the news that SEGA are bringing these packs to Japan. The original pack was part of a THQ range, whereby THQ bundled together games of a similar topic or franchise to sell to the public, a GBA ‘Platinum/Classic/Players Choice’ range if you like. It was reported at the Sega conference that Sonic Advance has sold 1.7 million units worldwide which is 200,000 more than Virtua Fighter 4 on the PS2! Also Sonic Adventure 2 Battle & Super Monkey Ball have sold 1.2 million worldwide, figures for each title weren’t given. Sonic Advance US Release Date Revealed? Looks like the cat is out of the bag – according to a listing on US retailer EBGames, Sonic Advance will be hitting stores on November 16th. Continue reading Sonic Advance US Release Date Revealed?